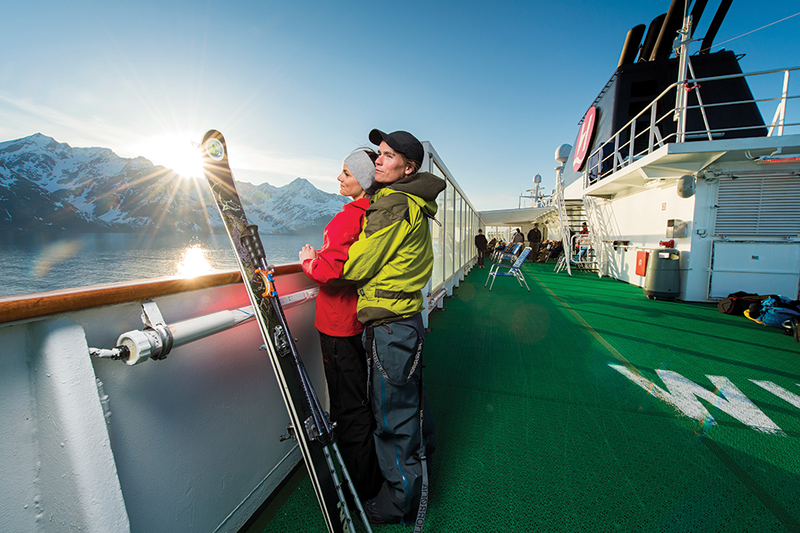 PHOTO: See the “Land of the Midnight Sun” onboard Hurtigruten’s Midnatsol. The coast of Norway connects the temperate world of mainstream Europe to lands and communities that seem to exist on the edge of the earth. The so-called “Land of the Midnight Sun” is a land where Viking and Hanseatic traders found ancient Sami communities, admired the Aurora Borealis and built ancient fishing and trapping settlements. For the passengers who cruise that coast with Hurtigruten, it’s a chance to experience a rugged sea coast where killer whale and sea eagles patrol the shores as herds of reindeer move over the land. Hurtigruten’s ships have been sailing the coast of Norway since 1893, carrying cargo, mail and passengers. Today, the ships call at 34 Norwegian ports along the way. Some of these stops are in the middle of the night, even when the night is lit bright by the Midnight Sun. There are about 10 ports that U.S. cruisers find most appealing on this journey to the far north. Experienced cruisers of Hurtigruten seem to prefer the northbound journey as it allows more time in the more interesting ports. The following is a list of some of those ports. Hurtigruten’s northbound voyage begins in Bergen, a town with a long history, most of which passed through the 14th- century wharf known as Bryggen, where Hanseatic traders connected the town to other medieval centers on the Baltic, Barents and North Seas. Bergen’s Hanseatic Quarters were cited by UNESCO as Europe’s best-preserved medieval maritime business district. 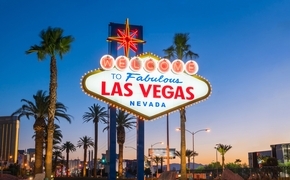 The quarter still thrives as it draws nearly a million tourists annually to its shops and highly regarded restaurants. Some visitors explore the mountains surrounding the city on the funicular that runs up Mount Fløyen. Hurtigruten ships call twice at Geiranger as they head north; quickly in the morning and then again in the evening. Many cruisers get off in the morning, spend the day and then catch the ship as it passes by again several hours later. This provides guests a chance to visit the Geirangerfjord, another UNESCO World Heritage Site. Nidaros Cathedral is the centerpiece Trondheim and contains the remains of Norway’s patron saint, Saint Olav. As such it still attracts pilgrims. Olav was Norway’s most illustrious king and a hero in Norse sagas. Begun in the 11th century, the cathedral is the result of many centuries of labor, including the 20th century, when its stained-glass windows were added. The old wooden buildings, wharfs and the ruins of a monastery testify to the role of the Reformation in Trondheim. The city has a thriving arts scene reflected by its theater, symphony orchestra and concert hall, Olavshallen. At the village of ørnes cruisers may board a tender that takes them to the Svartisen Glacier, the second-largest glacier on the Norwegian mainland at more than 140 square miles. This is one of the top scenic areas in the journey. The Meløy area’s rocky landscape has more than 700 islands, surrounded by 30 peaks of more than 3,200 feet. From the top of Holmvassdammen Mountain there are amazing views of Svartisen Glacier. Visitors will also find marked hiking trails from Namnlausvann Mountain to Gråtådalsstua Mountain in Beiarn and to Fellvassstua in Gildeskål. PHOTO: Hurtigruten stops in Lyngenfjord, Norway. A traditional Viking feast is held at the Viking Museum in Stamsund, on one of Hurtigruten’s more popular evening excursions. According to Hurtigruten, this event is one of the most frequently cited by guests as a favorite because the theatrics are fun, the food is surprisingly good and, apparently, so is the free flowing mead. Stamsund, a village of about 1,400 people, is home to two theater groups, Nordland puppet theater, and many other artists. Tromsø, a.k.a. “The Paris of the North,” is the largest city north of the Arctic Circle and as such it has a rugged history of whaling, walrus, polar bear and seal hunting. It takes on some of the fiercest weather in the world as the big town on the Arctic Ocean. Tromsø has been inhabited since the end of the ice age. The first church on the island of Tromsøya was erected in the 13th century. The highest numbers of old wooden houses in Northern Norway, one dating back to 1789, are found in Tromsø. 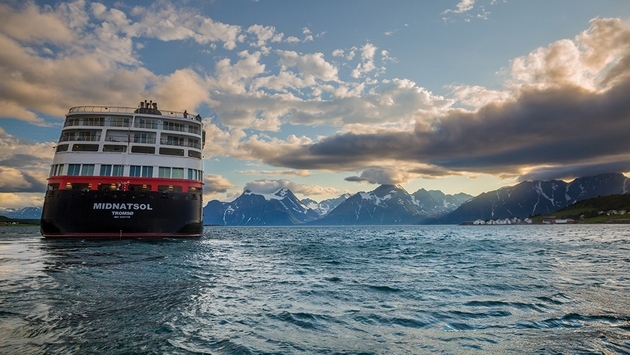 Hurtigruten encourages passengers in Tromsø to visit Polaria, with its Arctic aquarium, seal pool, educational displays and a panorama cinema, to watch the movie “Svalbard - Arctic Wilderness,” which documents Svalbard’s spectacular scenery. The city’s Arctic Cathedral was built in 1965. The design of the church was inspired by the beliefs and natural surroundings found throughout northern Norway, and features a highly esteemed glass mosaic. Honningsvag is the gateway port to the North Cape. The town claims to be the northernmost city in the world (as does Hammerfest, Norway; Barrow, Alaska, and Longyearbyen, Sweden). No matter the winner, for all of these places it’s a pretty short trip north before you begin heading south again—besides, none of them are really cities. The six-hour port excursion is extremely popular with passengers. At the North Cape they visit the big globe sculpture so they can comprehend just how far north they are. Indeed, they’re north enough to visit a Sami reindeer herder’s shop. The Sami are the people who populate the northernmost reaches of Europe. People have lived in this part of Norway for more than 10,000 years according to scientific finds. Kjøllefjord, the largest village in the northwestern part of Nordkinn Peninsula, is the best Hurtigruten port for learning about Sami culture. As the name suggests, the port is within a fjord. At Strandvegen guests can enter a Sami tent, sip reindeer broth, learn to throw a lasso and experience other aspects of Sami culture. Kirkenes is the journey’s northern terminus. At some 400 miles north of the Arctic Circle, Kirkenes sits in the extreme northeastern part of Norway on the Bøkfjorden, a branch of the Varanger Fjord. It’s where passengers get off or get on for the southbound journey, and the halfway-point for those who are on board for the 13-day “Classic Round Trip” voyage. This is right on the border of Russia, and so there are interesting excursions that give guests the chance to look over into Russia. There’s a tour by boat and one by bus. There’s another option that involves plunging into the elements on a “king crab safari.” The climax is a king crab feast. In Stokmarknes, a village on Hadsel Island, passengers can visit Hurtigruten’s official museum during the short stopover. Svolvær is the gate to the Lofoten Islands, where Hurtigruten runs its “Sea Eagle Safari,” which explores the fjords in search of sea eagles. Guest can also go on horseback to explore the islands, or go hiking or explore the islands on a RIB boat. The island’s human history dates back about 1,300 years thanks to its abundant cod fishing. Today, it’s a departure point for tourists visiting the islands. Some 200,000 tourists visit Svolvær each year. Local whale watching boats in late autumn and winter have great success in spotting Killer Whales. At Kristiansund, you can access one of the world’s most breathtaking great drives on “The Atlantic Road.” Many scientists believe that the very first Norwegian lived near the city of Kristiansund. At the end of the last Ice Age some areas at the western coast of Norway were ice-free and the first settlement probably arrived in the area around the year 8000 BC. During the Viking ages there were many important battles near Kristiansund. The most famous one was the Battle of Rastarkalv on the island of Frei, where the Norwegian King Håkon the Good fought against the Eirikssønnene-group.